“…Shabbat – Saturday afternoon 13th June, 2008 – on my way from West London Synagogue and a huge celebratory Bar Mitzvah to visit Jan. I had asked Rabbi Winer if I could have some pastries for Jan and he warmly agreed. Johannes aged 5 years and and his sister Felicia aged 2 years and eight months travelled unaccompanied from Prague to Liverpool Street station on the last of Sir Nicky Winton’s Kindertransports August 8th 1939. In 2004, Nicky put me in touch with the artist Käthe Strenitz who had also been a Kindertransport child. Ms Strenitz explained to me that at the very last moment she, being older, had been asked to chaperone the two Ullmann children who were very distressed and inconsolable throughout the long journey on the 7th and 8th of August. The original date for travelling to the UK was July, included with the children’s mother Anna Ullmann and their elder brother Max, but tragically, Max contracted measles and was therefore unable to travel. Max and his mother would eventually be murdered in Auschwitz Birkenau on the 23rd October 1944. 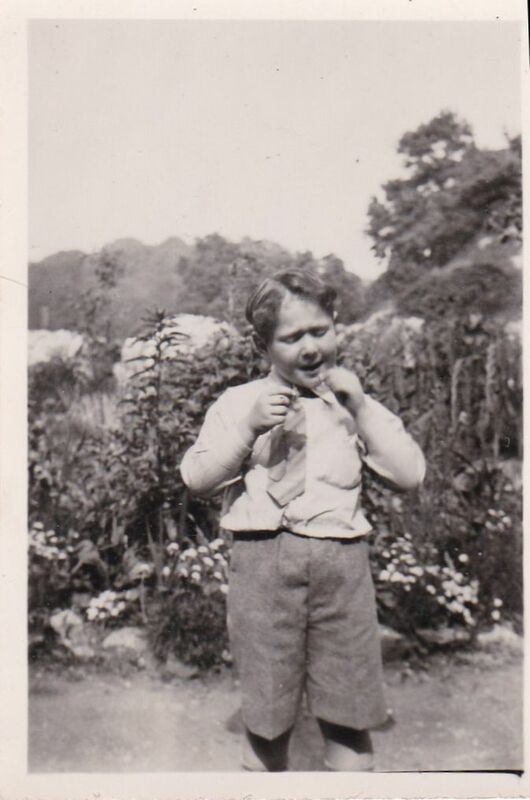 The youngest child Pavel, born 21st November, 1940 in Prague to Anna and Viktor Ullmann, perished in Theresienstadt concentration camp on the 14th December, 1943, from tuberculosis. The children’s sponsor, Miss Edith Smith, a teacher in charge of a school house in Cleve, Bristol, was there to meet them at Liverpool Street Station, London, United Kingdom. Miss Smith’s generous hospitality extended to all the Ullmann family including Viktor and Anna Ullmann, though she may have been unaware of the fact of their divorce and change of personal circumstances. It was the school holidays and she was hoping that the family were going to be able to travel in July and then in August. And they would have travelled were it not for Max’s measles and the need for quarantine and then war broke out and lack of availability of visas. By the time the two children Johannes and Felicia had got settled in with Edith Smith, she needed to resume her teaching, so the care of Felicia was given to two childless school teachers Mr and Mrs Gilpin. This is why Johannes and Felicia were then separated. These were not ideal circumstances due to Edith Smith’s work commitments as a head teacher of a school in Cleve Bristol, who had originally believed that the whole family were going to be able to join in settling over in the UK with their children. Edith was the family’s sponsor which included helping Viktor and Anna Ullmann to settle in the UK and find work, but this did not happen. Instead Edith Smith found herself with two very young children and no parents. A musically gifted child, Johannes had piano, violin and singing lessons. Edith Smith was herself an accomplished pianist who taught him the piano. In 1943 he won a scholarship to Magdalen College, Oxford as a chorister, however due to circumstances unknown, this did not work out and Johannes soon had to return to Miss Smith a somewhat changed child. The Czech Refugee Trust were all the while keeping a watchful eye – they were technically the children’s guardians. 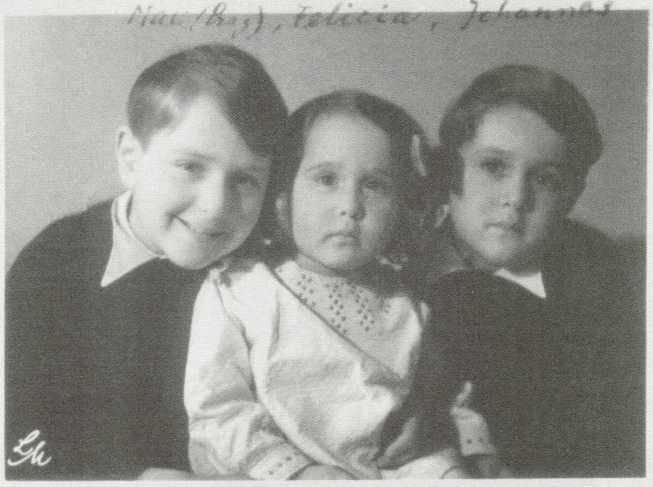 The Ullmann family were fighting for their lives in Theresienstadt concentration camp from 1942-1944. Was this known by the Czech Refugee Trust? The Smith family were well aware and kept all news at a safe distance from Johannes. All letters had long since ceased from Anna Ullmann in Prague Budecska 9 Prague XII and the very last letter was postmarked from cousins in Hungary in 1941. The unimaginable and appalling circumstances surrounding Johannes and Felicia’s parents and other siblings were and still are just too dreadful to be contemplated. After the end of the war, Johannes received a letter from the Home Office addressed to him personally to inform him of the deaths of his family. Johannes was eleven years old. Having read letters and reports it would seem that Johannes was failed and very badly let down by a system that had no understanding of bereavement, trauma and loss. His behaviour became ever more tragic as he was hoping to return home by any means. This was termed ‘absconding’. Miss Undine Goodchild of the Czech Refugee Trust Fund had Johannes certified on the 20th September 1948 and sectioned to Cheddleton Adult Mental Hospital near Stone in Staffordshire UK. It was here in this environment that Johannes was given Insulin Shock Therapy as treatment and other medications. He was denied all visits and all further contact with his devoted sponsor. All efforts on part of Miss Smith and her family to visit and stay in touch with Johannes were categorically denied. It is not unreasonable to say that Johannes was ‘disappeared’. In 1952, Johannes was transferred to Horton Hospital in Epsom Surrey. Again the policy of no visitors was maintained. The Smith Family never gave up hoping to find Johannes, but to no avail. It really is a mystery why this miscarriage was allowed to happen in the first place and to continue unchallenged . Jan stayed at Horton under section until 1996 when Chelsea and Westminster Health Authority began the process of closing the hospital down. Then he was moved to Hopkinson House on the Vauxhall Bridge Rd, Victoria, London with thirteen other long term residents from Horton into what had been a homeless men’s hostel. I first met Jan in Holy Week of 2004 and it is a miracle that I was allowed to visit him – I became his friend and visitor. Felicia, who I did not meet, died from renal cancer on the 7th September in Bristol 2004. Because Felicia had been adopted by the Gilpins, she was never recognised as the rightful daughter and shared legal heir of Viktor Ullmann’s estate. Jan was a born musician who had wanted to be a doctor. He loved chocolate, the piano and jazz. Jan died in Oakfield Nursing Home, Ashtead Surrey UK at 10.45am on Friday 6th August 2010 from a stroke.